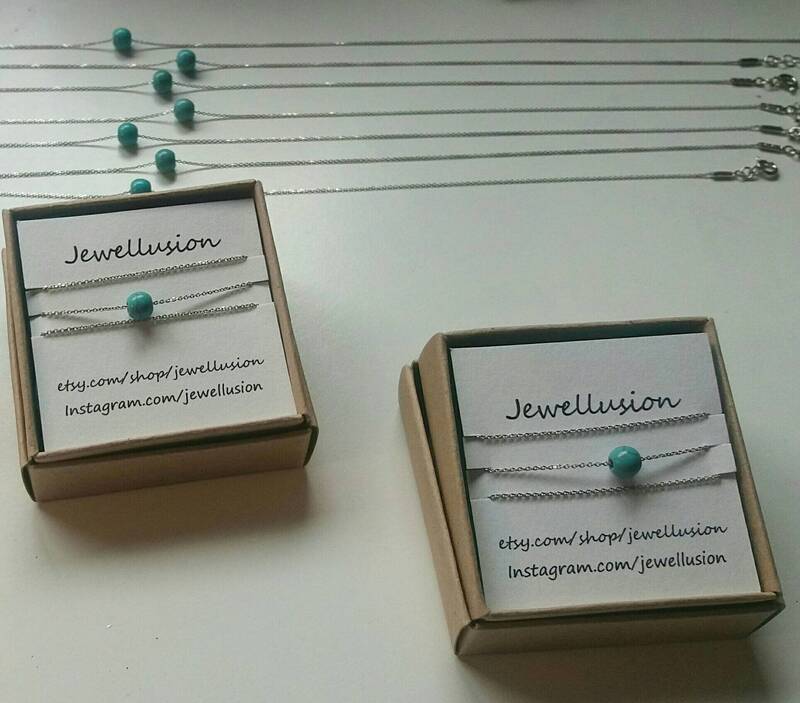 A dainty turquoise crack ball hanging on a dainty sterling silver chain. An elegant and distinctive necklace. A nice everyday piece. 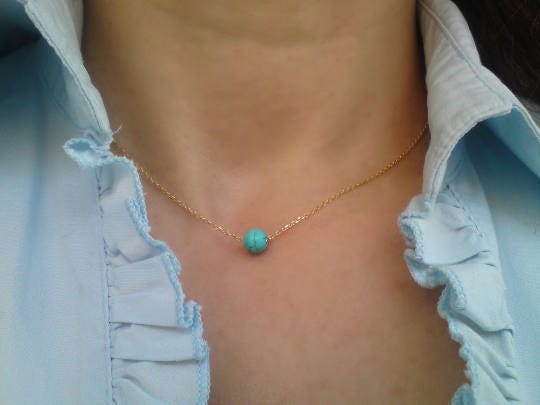 The bead is 5mm howlite.